The Deadpool 2 Cable first look photos have been revealed by Ryan Reynolds, who tweeted out pictures of Josh Brolin as the Marvel character. It follows on from last week where fans got to see Zazie Beetz as Domino. Like Domino, in Deadpool 2 Cable is also a mutant and after months of teasing, including by Brolin too who was posting pics to Instagram of his gym training, Reynolds has given us all the first proper look at the time travelling character we are familiar with in the Marvel comics, created by Rob Liefeld and Louise Simonson. It was back in April that it was announced Brolin was going to play the role in Deadpool 2. And filming on the sequel Marvel movie to the breakout superhero hit from last year has been taking place in Vancouver with Ryan Reynolds since the beginning of July. Zazie Beetz had recently joined Reynolds when the film star tweeted out pictures of her as Domino. And now Brolin has joined the shoot to film some of his Deadpool 2 Cable scenes. Pics of Brolin on set in Vancouver emerged soon after Reynolds' tweets. In the tweets Reynolds posted a portrait shot of Brolin's Deadpool 2 Cable with the line, "We all have that one, grumpy, heavily armed Uncle from the future." He then tweeted again, a full body shot with the line, "DeadPool 2: Your premium #Cable provider." 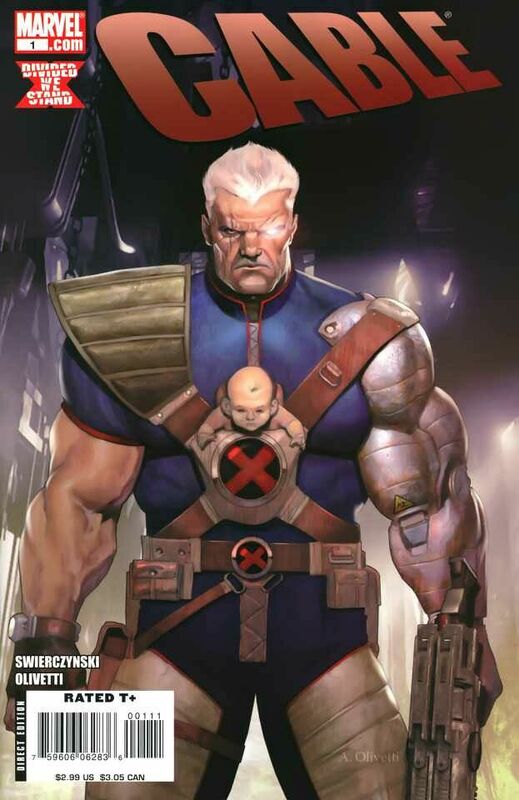 In the Marvel Deadpool comics Cable (aka Nathan Summers) is the son of Cyclops and a clone of Jean Grey. As a child he was sent into the future where he became a warrior before travelling back to the past. His abilities include telepathy, telekinesis, technopathy, expert marksmanship, and bionic enhancement. He's also a love interest of Domino, which the film may well touch upon. Reactions have been mostly positive since the unveiling of Brolin as Cable, and now that images have arrived of him decked out in the full Deadpool 2 Cable costume, which sticks very closely to the comics including his bionic eye, people have been even more hyped. Check out some twitter reactions below from fans and even from a writer of the Cable comics. What If The Avengers Movie Had Actually Been An Ensemble Rom-Com?